Kanoo Shipping, a business division of Yusuf bin Ahmed Kanoo Group, recently concluded its annual regional meeting attended by prominent maritime leaders from its Middle East/Africa network. 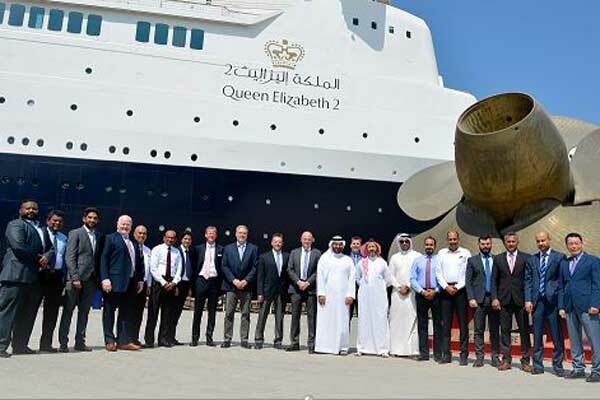 The event was held under the theme “Onwards and Upwards” onboard the iconic Queen Elizabeth 2 in Dubai, UAE. Executives from Kanoo Shipping including Jonathan Bygrave, executive general manager Kanoo Shipping; and Nikolai Norman, head of Commercial Kanoo Shipping; as well as members of the management team welcomed the regional participants with the presence of Fahad Kanoo, acting chief executive officer, The Kanoo Group (UAE and Oman) and Ali Abdullah Kanoo, member of the board, Yusuf Bin Ahmed Kanoo, it said. Kanoo Shipping Management together with representatives from key ship-owner and commodity trading customers held a lively Q&A panel session aimed at gathering a better understanding of customer requirements, expectations and issues aimed at enhancing their mutual relationship as well as taking the opportunity to discuss emerging opportunities and challenges currently faced by the regional maritime sector, it added. Generally, the meeting focused on enhancing customer value through efficiency and Industry IT leadership whilst underlining Kanoo Shipping’s core fundamentals of compliance, transparency and sustainable excellence. Kanoo Shipping, a member of The Kanoo Group, is the first Arab shipping agency in the region in 1911 and one of the founders of S5 Agency World. At present, Kanoo Shipping is the largest regional shipping agency in the Middle East which operates in 20 countries.